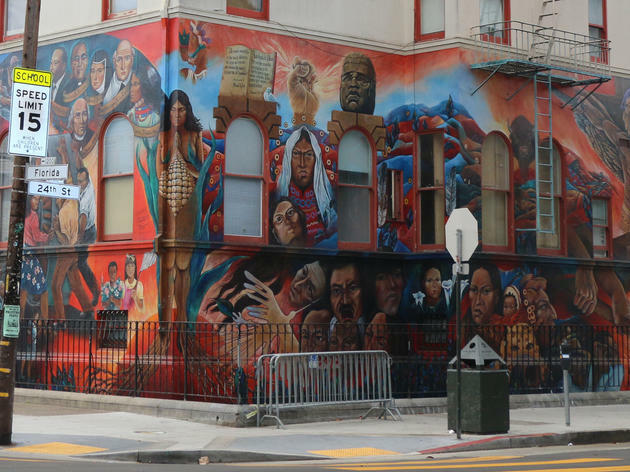 San Francisco’s grand tradition of public art—both officially sanctioned and otherwise—has turned the city into a grand, technicolor canvas, and nowhere is this more spectacular than the Mission murals. 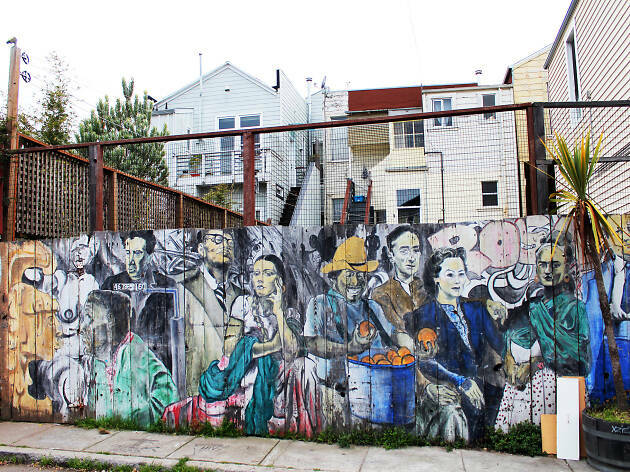 This open-air museum is concentrated in the Mission District, where local and international artists have created works that range from the political to the amusing. 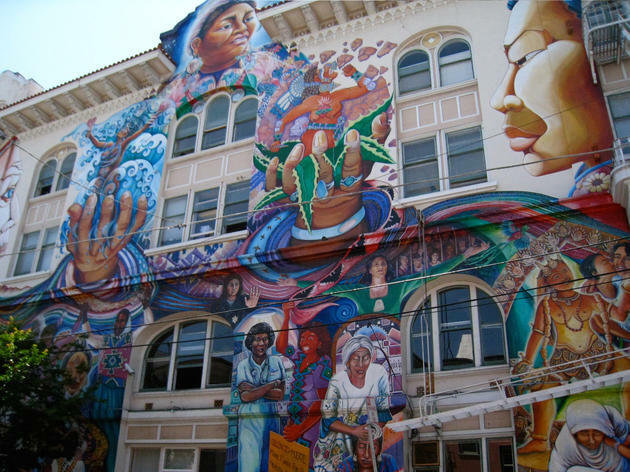 While some of the best murals, such as those decorating the 18th Street Women’s Building, are masterpieces and San Francisco attractions in and of themselves, others make up a landscape of work painted cheek-to-cheek in Balmy and Clarion alleys. 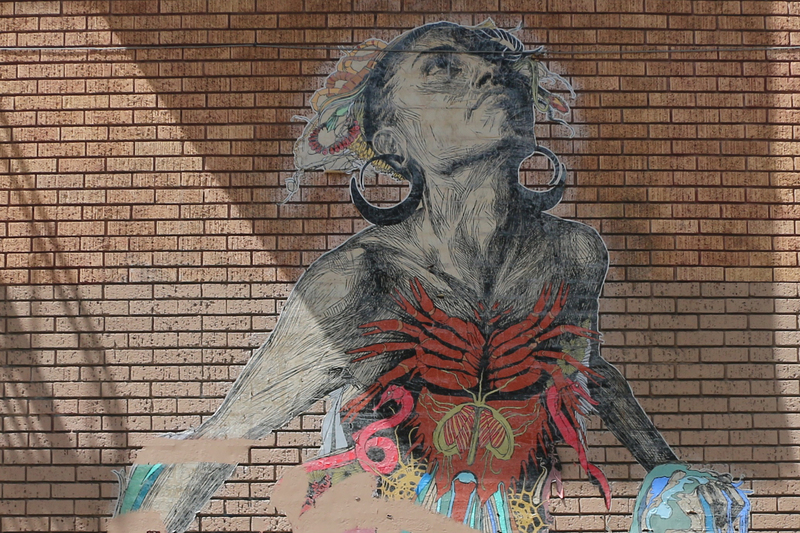 Around 24th Street between Alabama and Harrison, the artists of the Precita Eyes Mural Arts and Visitors Center have left a trail of artistic expression, some of which are multiple stories high. 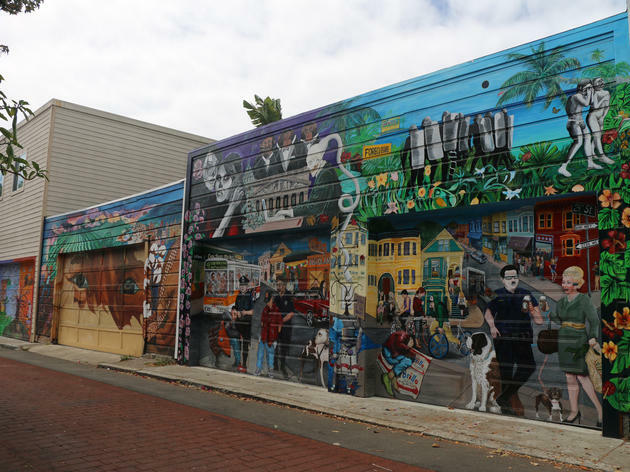 Wandering through these muraled streets is one of the quintessential things to do in San Francisco; our guide will acquaint you with the ten most iconic before you hit the pavement and see them for yourself. 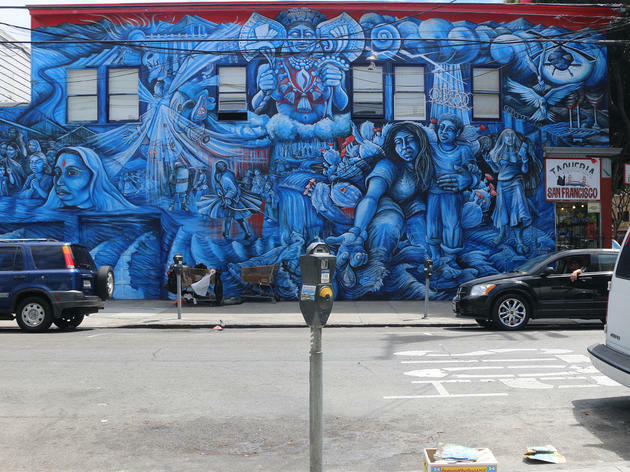 The mural: Muralist, teacher and activist Juana Alicia brings the legend of La Llorona, the Weeping Woman doomed to roam the earth searching for her lost children in this moody blue mural at 24th and York. The work ties the myth to the plight of women and children the world over: the fight for water rights in Bolivia, Indian farm workers protesting the industrial dams, and the unsolved murders of hundreds of female maquiladora workers along the U.S.–Mexican border. 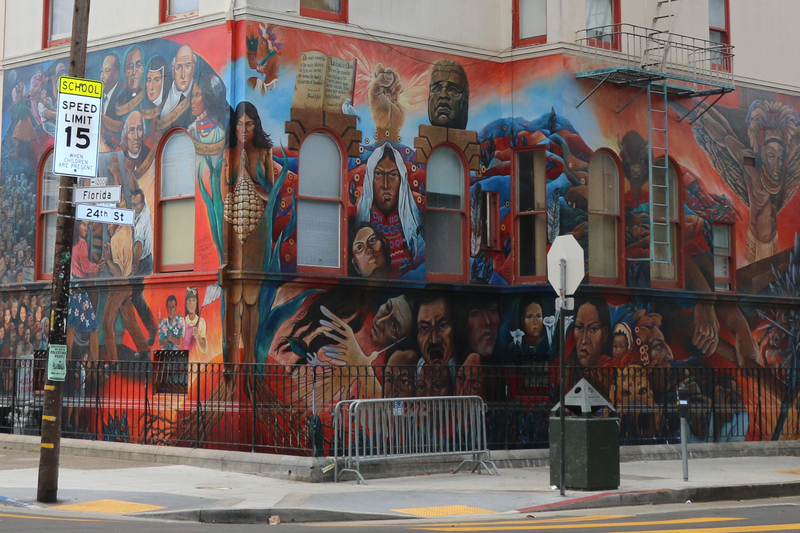 The mural: The culmination of almost two years of work, the MaestraPeace mural is one of the most ambitious pieces of contemporary public art not only in San Francisco, but arguably the world. Seven women (including Susan Cervantes, Miranda Bergman and Juana Alicia) with over 100 years of combined experience as muralists and a team of more than 50 volunteers labored to create this 12,000 square foot mural. 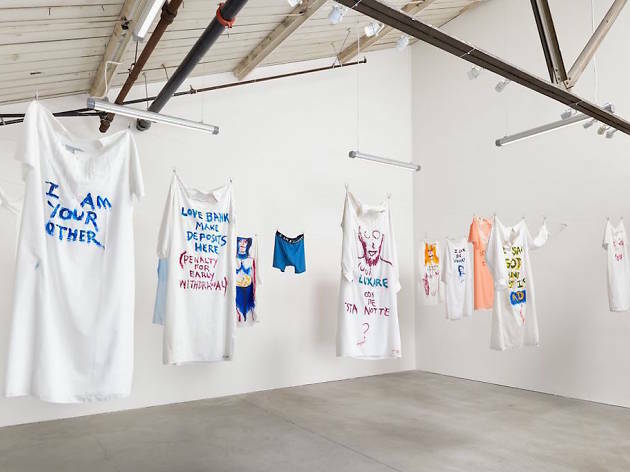 The work incorporates images representing the variety of cultures, accomplishments and belief systems of women throughout the world, from Yemayah, the Yoruba goddess of rivers and oceans to Georgia O’Keeffe. To truly appreciate the depth of its conception, stop into the lobby gift store for a copy of a printed key, detailing the individual images and historical figures represented. 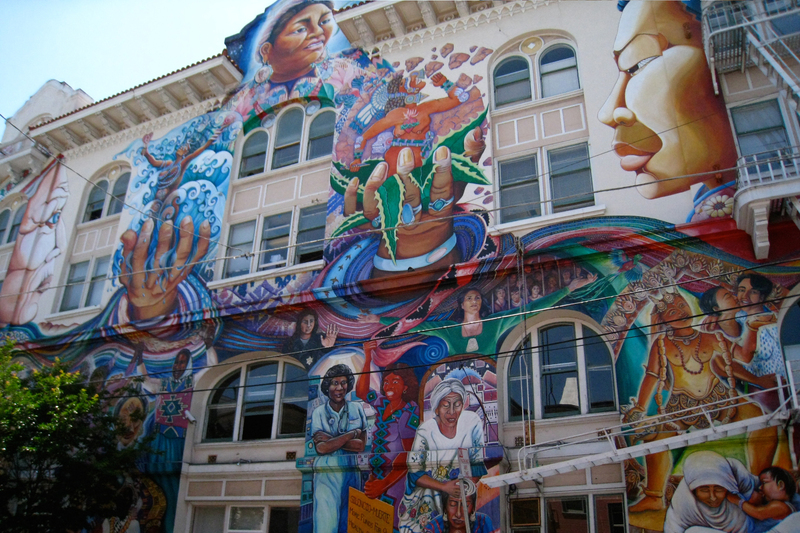 Where to find it: The Women's building at 3543 18th Street between Valencia and Guerrero. 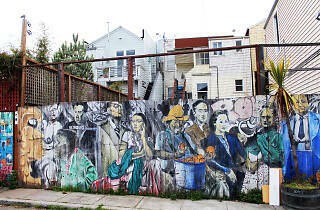 The mural(s): Balmy Alley has one of the highest concentrations of street art in the city. Approximately 37 works by more than three-dozen artists line the narrow street, covering virtually every available space, including garage doors and fences. 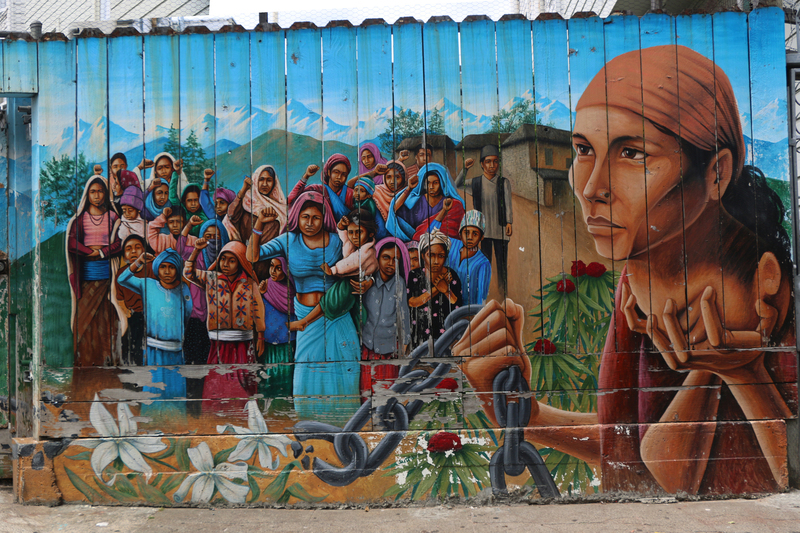 The murals here include tributes to Frida Kahlo, Georgia O’Keeffe and Salvadoran activist Archbishop Oscar Romero, as well as up-to-the-minute commentaries on local themes including the challenges of gentrification in the neighborhood. Where to find it: Balmy Alley between 24th and 25th streets. Where to find it: St. Peter's Church at the corner of 24th St. and Florida St. 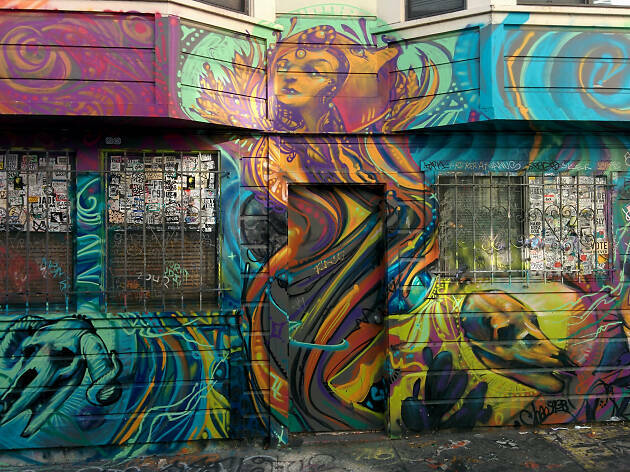 The mural(s): Clarion was the second Mission District alleyway to get the mural treatment; since 1992, more than 700 have graced its walls. 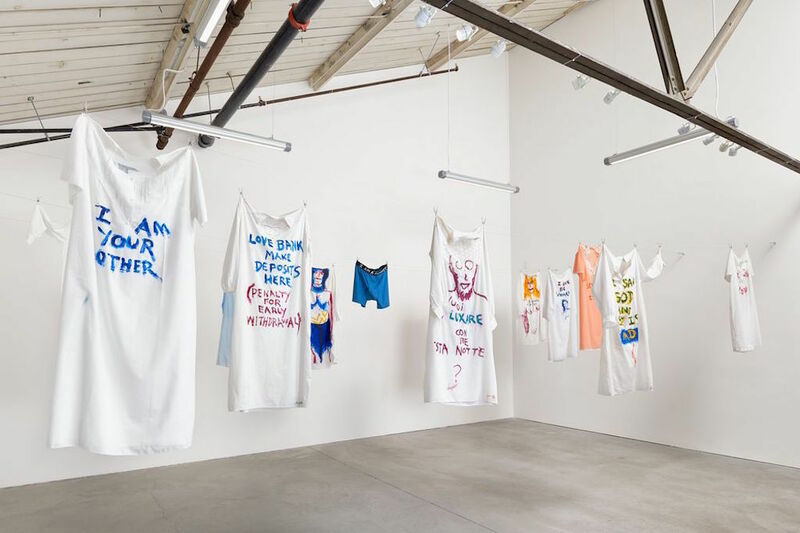 Several of the works here are rooted in social justice, including Saif Azzuz's Justice, a stark black-and-white painting that has been vandalized almost a dozen times by anti-Zionist and MAGA supporters. Other notable murals include WHOLE9's colorful portrait Living Street and a tribute to the musician Prince titled Rest in Purple. 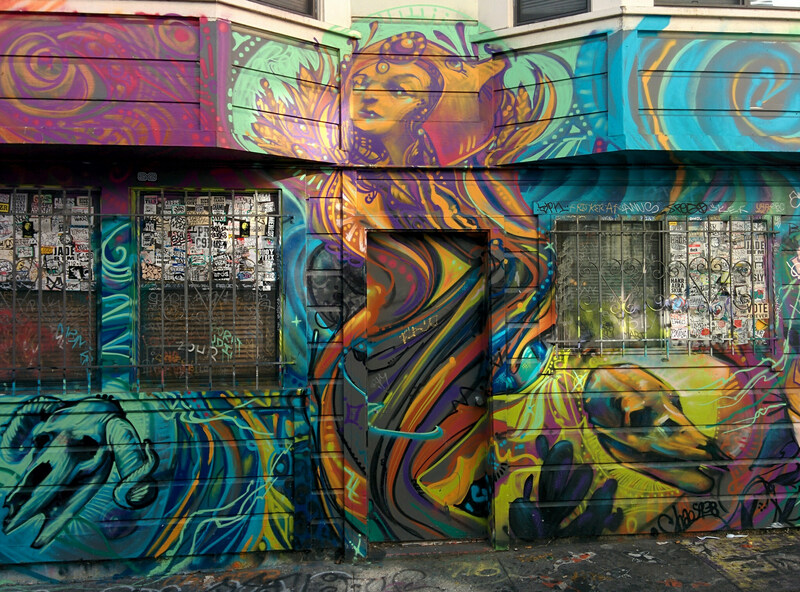 Where to find it: Clarion Alley between 17th and 18th streets. 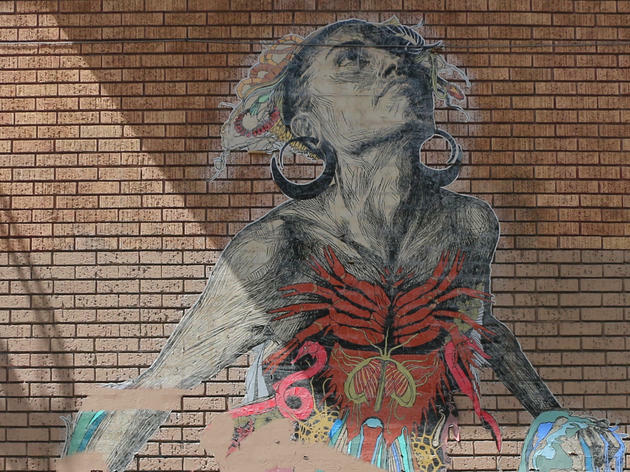 The mural: The wall of Zheng's Cleaners has featured multiple works by Brooklyn-based artist Caledonia Curry, “Swoon,” whose wheatpasted paper murals are more fleeting than most in the neighborhood. The current work, Gazing Seaward, is Swoon's recreation of the Greek goddess of the sea, Thalassa. Here, the mother of Aphrodite appears to burst from the sidewalk, soaring skyward, trailing a gown of sea creatures. Where to find it: Zheng's Cleaners at the corner of 24th and Hampshire streets. 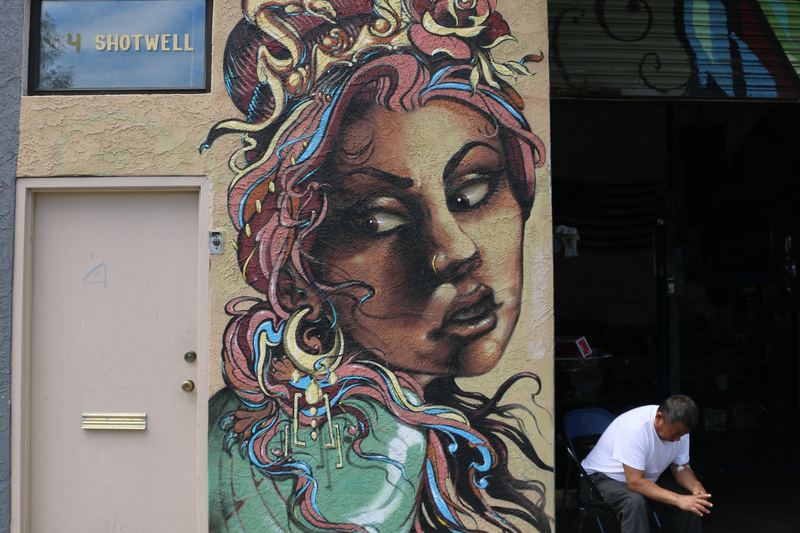 The Mural: Precita Eyes isn't a single mural or even a conentration of several in a single location. 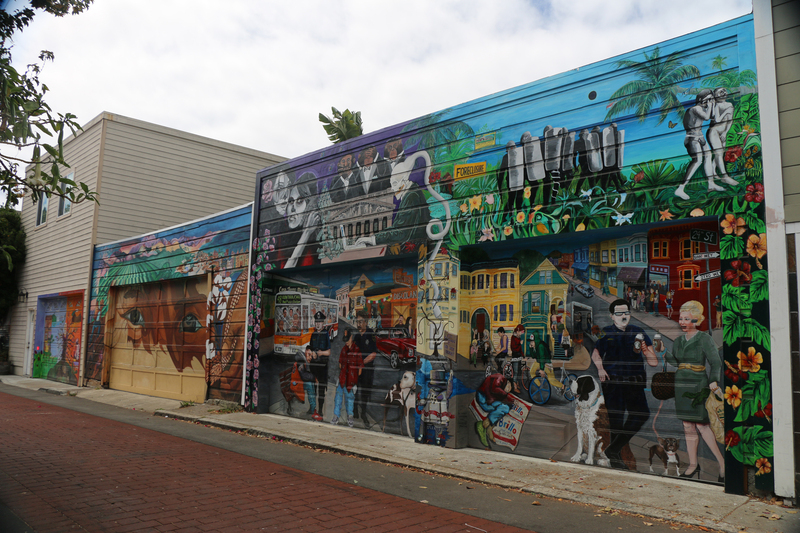 Rather this mural arts non-profit founded 30 years ago by Susan Cervantes has a presence throughout the Mission and in other neighborhoods around the city. 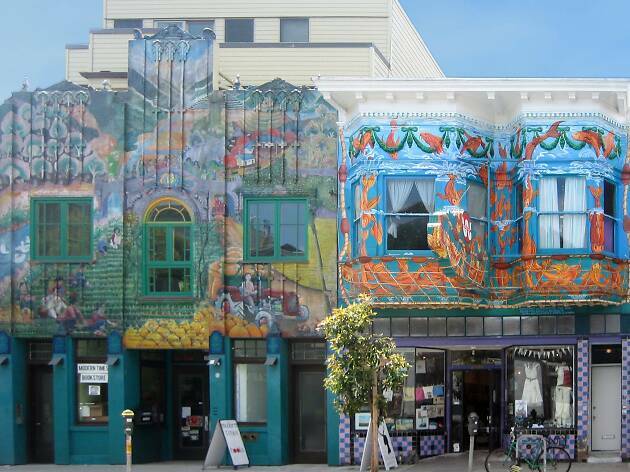 From their Visitor Center on 24th Street, Precita Eyes hosts a tour of their favorites, including those created by muralists under the organization's guidance. Inside the visitor center are some additional works, plus mural T-shirts, mural maps and mural postcards as well as general art supplies. The mural: This early mural above the House of Brakes commemorates the Mission's inaugural Carnival celebration in 1979, today a springtime neighborhood tradition. 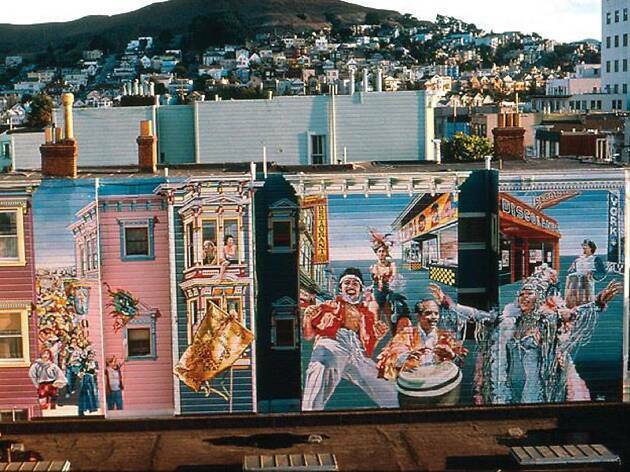 Painted by muralist Daniel Galvez in 1983, the recently restored bright blues and purples of the Carnaval Mural reflects the diversity of this once-predominately Latino neighborhood and the costumed musicians and performers that annually grace its streets. Where to find it: Above the House of Brakes on 24th Street at Van Ness Ave. 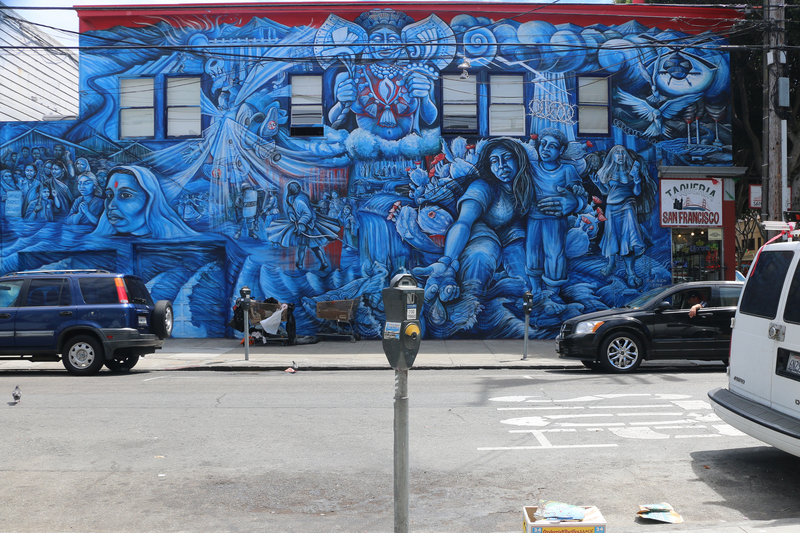 The mural: Rio de Janiero-born San Francisco tattoo artist, Lango Oliveira, traded in his needles for a spray can in this untitled mural on the wall of Kevin's Auto Mechanics. 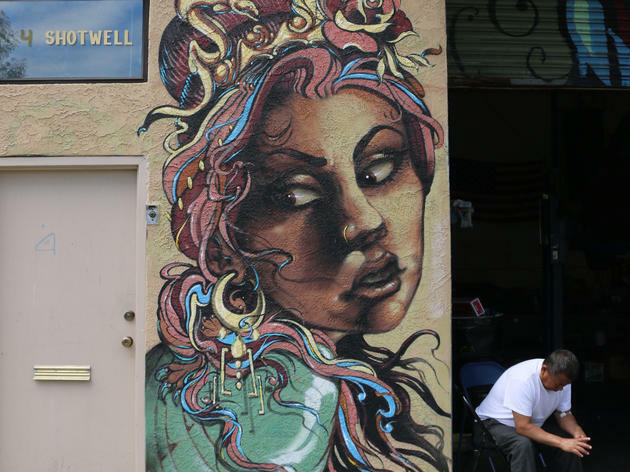 Commissioned by the owners of the autobody shop, Oliveira's colorful but haunting gypsy watches over the corner, keeping her eyes averted from onlooking passersby. Where to find it: Kevin's Auto Mechanics at the corner of Shotwell and 14th Street. 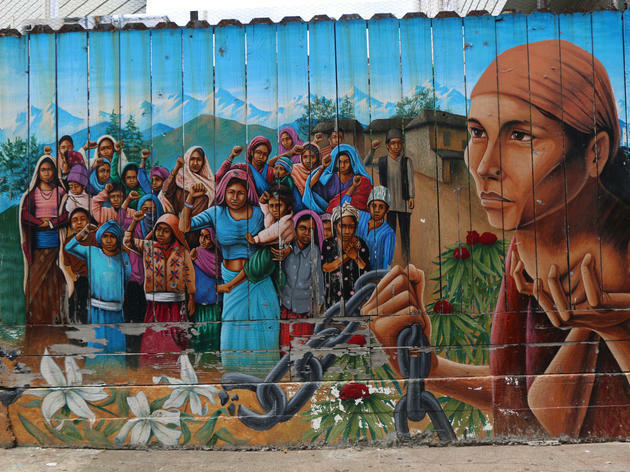 The mural: Naya Bihana or A New Dawn depicts three generations of Nepalese women toiling in the fields beneath the Himalayas and breaking the chains of oppression. London-born artist Martin Travers painted the mural in 2002 in response to the political upheaval taking place in Tibet at the turn of the millennium. Travers felt the rebellion in Nepal was particularly significant, showing “it is possible for people in the bottom of society to break those chains and take that power, seize the power.” His work echoes that of revolutionary Mexican artists, including Orozco, Siqueiros and Rivera. From international standbys to intriguing up-and-comers, classical painters to cutting-edge video artists, San Francisco’s galleries run the gamut.